Stress- it is something every person experiences and every person must overcome. Many clients who contact us say their injuries or loss of a family member has, more than anything else, stressed them out. They are overwhelmed by the pressure felt coming from the insurance companies. They feel stuck because they don’t know who to talk to. They are in physical pain. They miss their child, parent or spouse. They don’t want to do something that could harm their claim or diminish their rights, but they feel they need to do something. In short, they are experiencing intense doses of stress. This led me to study the nature of stress and why we experience it. Stress can be defined many ways, but one of the more broad definitions which I have come across is “the feeling an individual experiences upon realizing the demands of a particular task exceed the resources needed to complete that task.” In the legal atmosphere, people call attorneys once they realize they lack the resources (experience, skill set, funding) to handle their issue on their own. 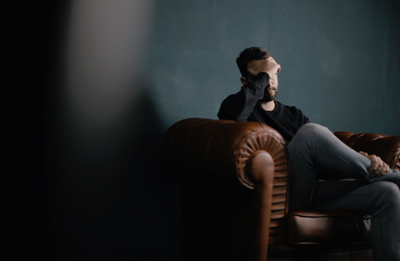 The people who we help are always dealing with one or more of the top stressful life events; losing someone they love, an injury of their own, and occasionally, the risk of being unable to perform their job due to their injuries. While I can’t command clients to relax, (I would love that superpower) there are ways we reduce the impact of stress on our clients. Keep the client informed. Our office prides itself on fantastic client communication. We explain to every client a brief timeline of the major milestones in an injury case so they know what to anticipate. Throughout the case, we return calls and emails within 24 hours so clients are never left waiting and wondering. Stay positive. I live my life with a positive attitude. I run my cases the same way. This doesn’t mean avoid all negative possibilities. Clients need to know the benefits and the risks of their decisions. People understand information better when they are calm and when they are presented with solutions. If there is an issue, I maintain my composer and always let my clients know that I am working to find a solution. Sleep on big decisions. Whether the insurance company has presented a compelling offer or we are deciding to file a lawsuit, whenever the decision has high stakes it is best to let the adrenaline stop flowing before making a decision. Stress pumps adrenaline through the body and changes how people think. Studies show people will take greater risks while under stress than they would have otherwise. When possible, I give clients and myself plenty of time to think about important decisions, especially when it comes to the resolution of a case. The practice of law is one that incites mixed emotions in people. Part of that is due to the reasons people come into contact with attorneys. It is typically during some of the most difficult, and stress-inducing, events in life. If you are feelings stressed about the weight of a legal matter, consider hiring an attorney to ease that burden. Many professionals, including lawyers, offer free consultations for you to determine whether you need legal counsel or you can handle things on your own. Contact us at 727-446-0840 or fill out a contact form to have one of our attorneys reach out to you about your concerns.